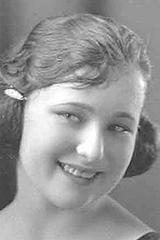 Born to John and Anna Sklenar Srajer in a log cabin in Yale, Okla., in 1905, Alice’s life was filled at an early age with rich and historic memories of childhood. Her father, John, had made the Oklahoma Land Run in 1889 and staked his claim on the Yale farm. She was the youngest of five children – who all preceded her in death. Her sisters, Vlasta Srajer and Eliza Kerbs, brother, Frank Srajer, and another infant brother (probably Ben Srajer), all had vivid memories of looking out of the windows of their log cabin home to the faces of Indians peeking inside – most of whom were friends of their father John and had helped him build his log cabin. At 18 months of age, in 1907 – after Oklahoma had celebrated Statehood, John Srajer relocated his family to Tampa, Kan. She walked to a one-room country school house, where she learned the English language – and spoke it during the day. At home, her parents taught her their native Czech language, which she spoke fluently around her family. Alice met Tony Zaloudek at a Polka dance in Marion, Kan., at the age of 22. Alice married Tony May 9, 1927, at St. John Nepomucene Bohemian Catholic Church in Pilsen, Kan. Their wedding was an “all day affair” – with Mass, dinner, supper and an evening dance. Kolaches were served to all the guests. Tony and Alice farmed near Kremlin, Oklahoma. Oil was also discovered on that farm. 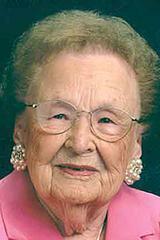 Read more about Alice’s life in her obituary here, and in the story of her life here.